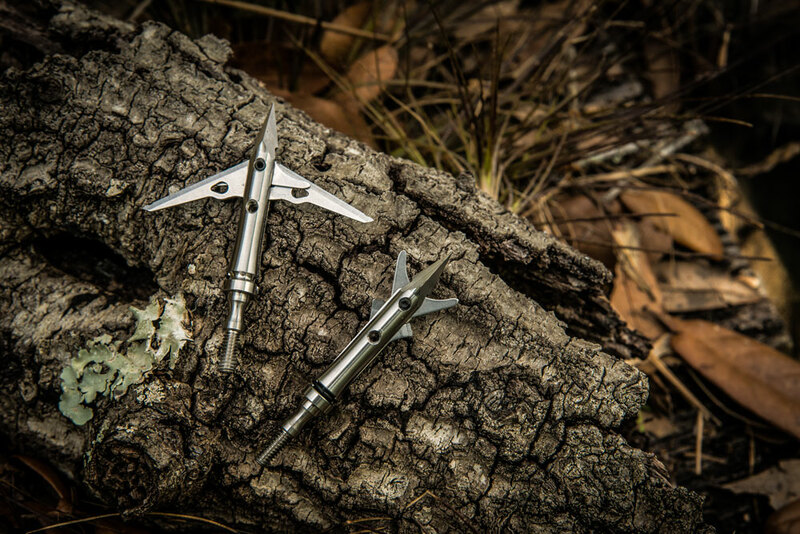 Deep Six Broadheads - Whats the difference between 8-32 and Deep Six? The introduction of Ultra-Micro Easton Arrows made for a pivotal change in equipment designed for serious bowhunting. Deep Six is the mini-sized insert and broadhead thread standard that enabled the production of a smaller broadhead-compatible ultra-micro diameter arrow shaft. With more penetration available to hunters, Deep Six thread broadheads, inserts, and arrows have proved their worth in the field. For the hunting archer, Deep Six tipped arrows provide more penetration by concentrating the mass of the arrow into a smaller column. Bowhunters using Deep Six heads, inserts, shaft regularly report complete pass-throughs, improved blood trails, and quicker game recovery. Standard 8-32 Broadheads will fit standard size shafts (5mm, 6mm, & 6.5mm shafts) with inserts using 8-32 thread pattern. Deep Six will fit small diameter shafts (4mm) with inserts using Deep Six thread pattern. Order Sevr Broadheads in Deep Six Now!